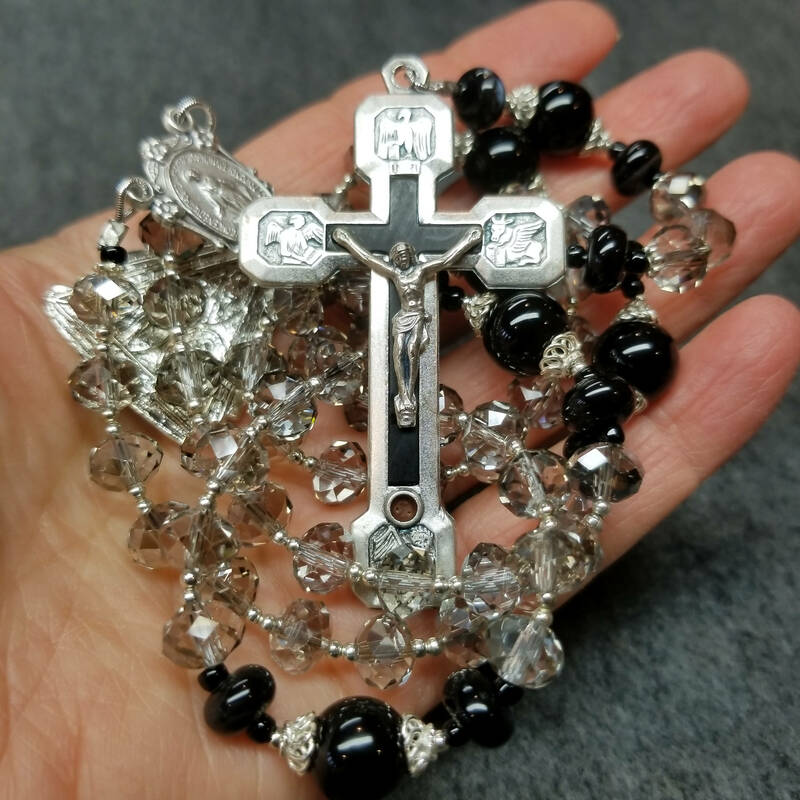 Sparkly genuine Swarovski Crystal 'black diamond' Hail Marys with elegant Onyx Our Fathers make a striking Rosary. 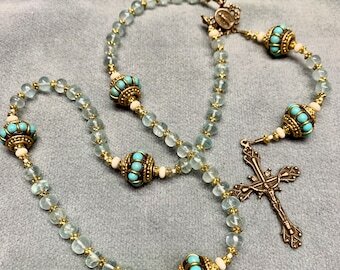 Add to that shining Sterling Silver Miraculous Medal and 3-way medal (St Michael, Miraculous medal, St Anthony) , and an unique Crucifix with tiny Stations of the Cross engraved on the back. 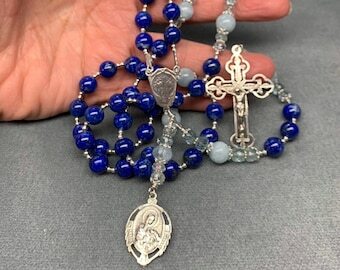 This is a cable Rosary, strung on strong, 49-strand, 40# test wt plastic coated stainless Steel. It is carefully double crimped for durability. Treated with respect, it should give years of prayer.